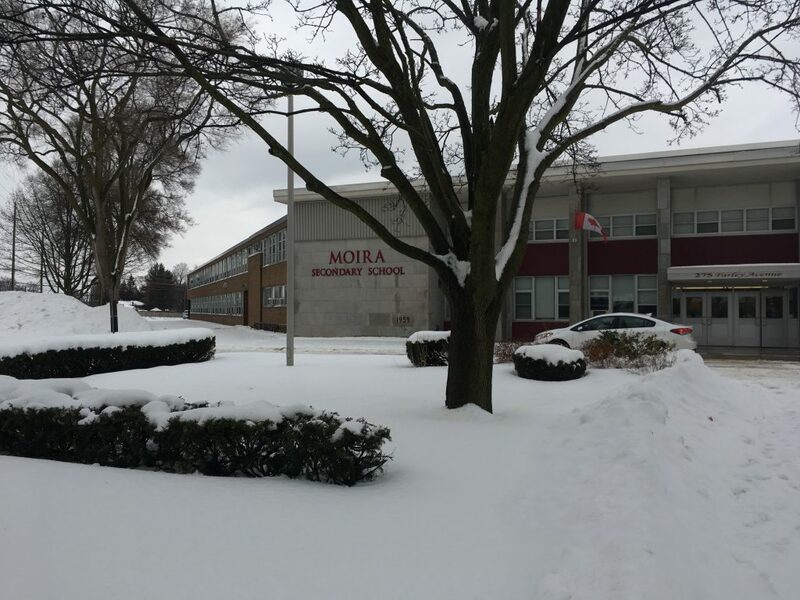 BELLEVILLE – Moira Secondary School will be known as Meyers Creek Secondary School when students from Moira and Quinte Secondary begin class together there this September. The Hastings and Prince Edward District School Board voted unanimously in favour of the name change at a meeting Monday afternoon. The school board put together a list of five name options based on public input. They were Belleville East Secondary School, East Hill Secondary School, East Side High School, Gord Downie Secondary School and Meyers Creek Secondary School. The school board then chose Meyers Creek. Quinte Secondary School will be closing at the end of this school year. Of the 590 Quinte students, 390 will attend Meyers Creek. The remaining 200 will attend Centennial Secondary. There has been opposition to the name change, and a petition against it gathered 2,500 signatures. Opponents had complained about education money being spent on costs associated with the name change. Back in June, the accommodation review put forward that Moira would be the consolidated school rather than Centennial, and that when the project was sent to the Ministry of Education for approval, it was to either rename and add an addition to Moira or to build an entirely new school. One Moira student’s guardian is against the rebranding project. Kathryn Brown, a local businesswoman, takes care of a young man who attends Moira Secondary. She says the decision to rebrand now is unreasonable. Brown says she supports the idea of rebranding Moira down the road, but does not see it as an appropriate decision at this time. “I have always been of the position ‘not now.’ If and when the ministry decides that a new school will be built, then it makes perfect sense to use that opportunity and rebrand and rename. Until such time that the ministry makes that decision, I see no reason why it couldn’t have continued as Moira,” she said. Dave Patterson, school-board trustee, has the opposite view as Brown.